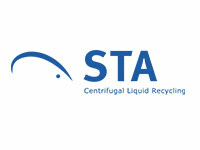 STA develops and manufactures centrifuge systems for separating solids from fluids, like Paint Sludge, Phosphate Sludge, Oil, Coolants, Glass & Metal Particles, etc. Since 1992 STA has been using process technology know-how to solve contamination problems everywhere that more stringent environmental requirements, stricter quality specifications and cost pressure have led to the need for greater purity of fluids used. 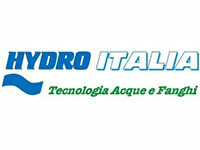 HYDRO ITALIA has been concentrating its efforts on the achievement of systems and methods for industrial water purification, by favoring cheaper solutions, effective and attentive to the environmental preservation and to the disposal expenses reduction. Moreover HYDRO ITALIA places at disposal a huge range of chemicals strictly free from risk symbols in accordance with regulations in force and suggested each time by our technicians after a close analysis of the water to be treated. 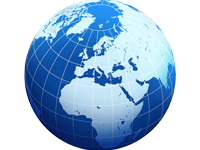 Aquarius works on case-to-case basis with other overseas partners to meet the specific requirements of dewatering and thickening in wastewater treatment processes and liquid separation in industrial processes. These tie-ups help in delivering customized solutions like, Biological decanters, horizontal decanters as well as solutions for industries such as olive oil, dairy, beverage, oil, marine and mining industries, animal rendering, oleo chemistry, yeast, etc.